When The Good Alliance was founded in 2013 one of our first tasks was to define what (and who) we stood for. We created a list of values so that if we ever felt lost, unsure or that we were not being true to ourselves, we could refer back to them. More than just words, these are our beliefs and the things that define us. They are our guiding light, our compass, our manifesto. We believe that the world is a better place when we do what we are good at and we consider our social responsibility. We work together within our community to make the complex easier and more accessible. 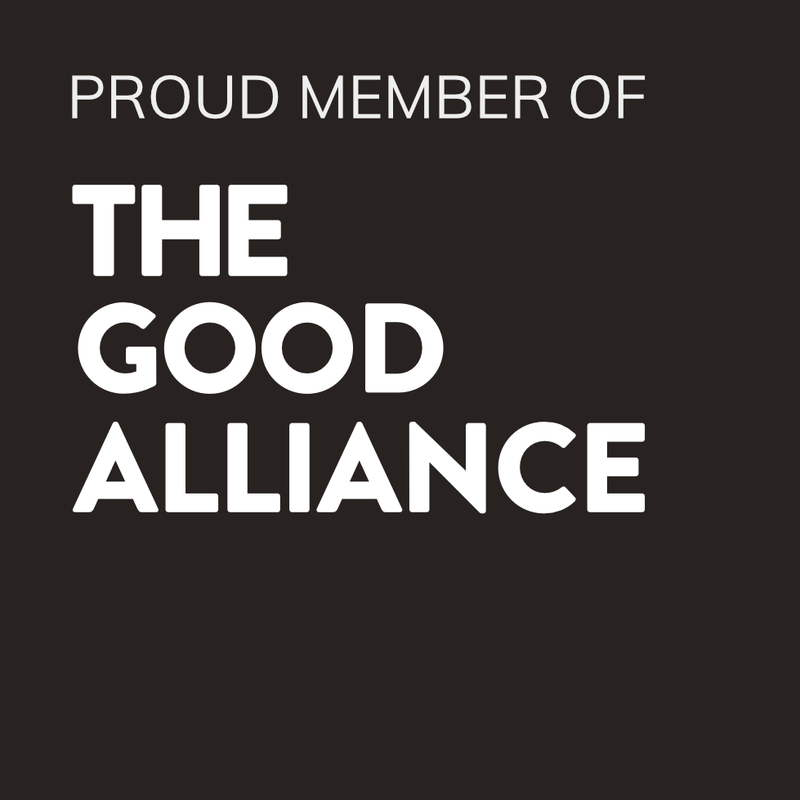 Members of The Good Alliance believe in the ethical values of honesty and openness. We tell it straight and don’t stand for BS. More than profit, our members care deeply about their clients and their mission. We constantly strive to offer the best service for our users and create moments of ‘wow’. Our members aim to create long-term impact through their work and are dedicated to giving back. Creating change isn’t easy and we will have our share of bad days. The Good Alliance members know that we are all in this together and that we can do our part to help others have more fun and feel less alone. We encourage businesses, communities and non-profits to adopt our values and do their part to create a better future. Wherever you see our badge you’ll know that the holder shares our values and is deeply committed to making a difference. It’s a promise to put purpose before profit and a committment to help others in our community. Do you want to make a difference whilst making a living? You’re in the right place. Join us today for free.